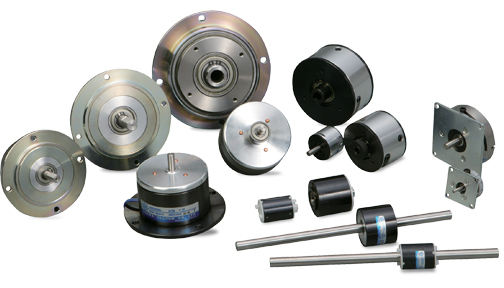 Permanent magnet hysteresis units can be configured as a clutch or a brake depending upon mounting. 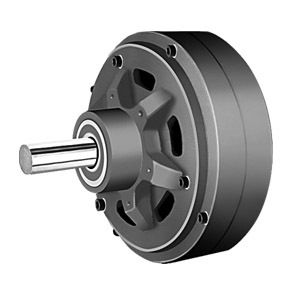 Torque is accurate and dependable because it is produced magnetically, not via friction. Torque is consistent over a given speed range. Because there is no wear, units have an extremely long life. Also since units are sealed, there is no concern about contamination. 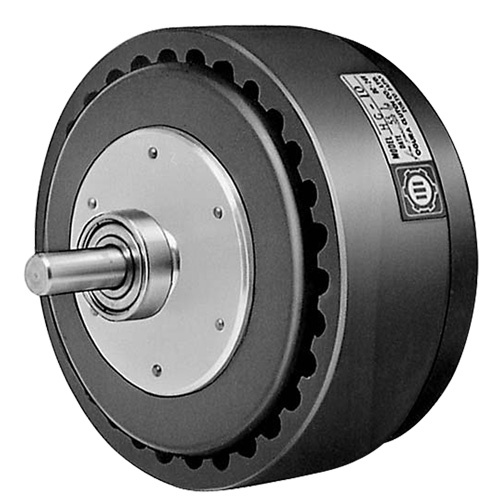 Each unit has an adjustable torque range that can be set by the user and since the units operate via permanent magnets, no external controls or power is required. Hysteresis brake for industrial application. 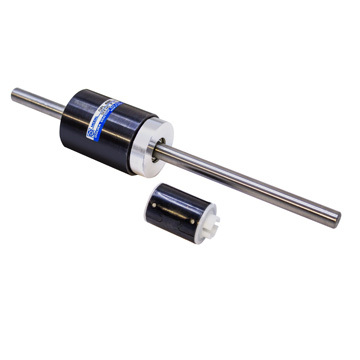 Torque is independent of slip speed and can be easily controlled by varying the current. Since there is no frictional contact between the magnets, the units have an extremely wide torque range and are ideally suited for testing machinery and/or application that are required to produce consistent and smooth torque over a wide range. Hysteresis clutch for industrial application. 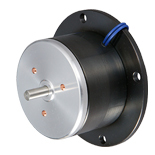 Torque is independent of slip speed and can be easily controlled by varying the current. 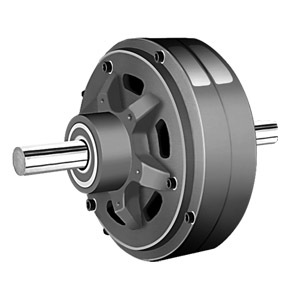 Since there is no frictional contact between the magnets, the units have an extremely wide torque range and are ideally suited for testing machinery and/or application that are required to produce consistent and smooth torque over a wide range. 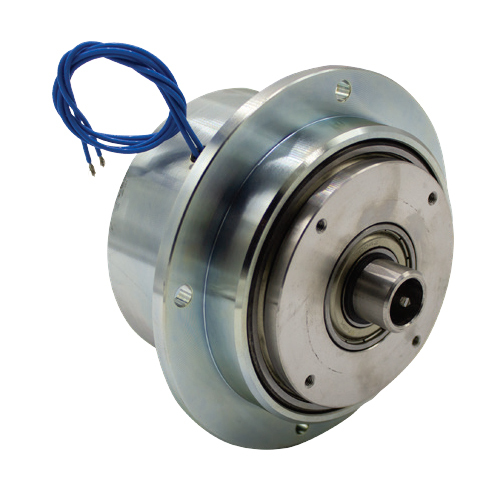 Magnetic particle clutch designed for industrial applications requiring fast response time and a stable torque. Units can also be set for continuous slip which makes them ideal for tension applications. Since voltage to torque is linear, output torque can be easily controlled. Since torque is also transmitted via internal particles, unit life is extremely long. 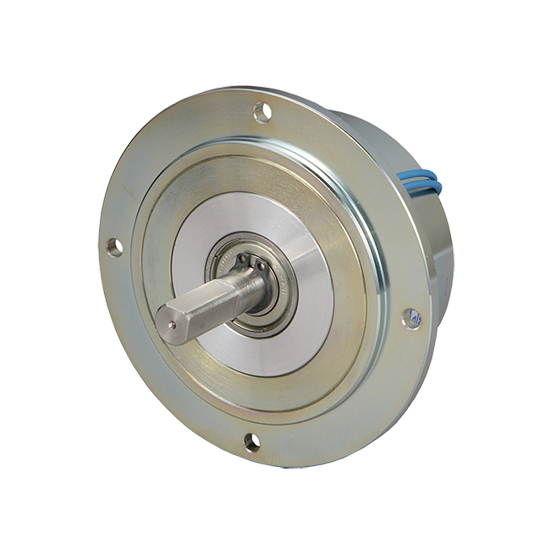 Magnetic particle brake designed for industrial applications requiring fast response time and a stable torque. Units can also be set for continuous slip which makes them ideal for tension applications. Since voltage to torque is linear, output torque can be easily controlled. Since torque is also transmitted via internal particles, unit life is extremely long.